If you’re interested in any of my books, please contact me. 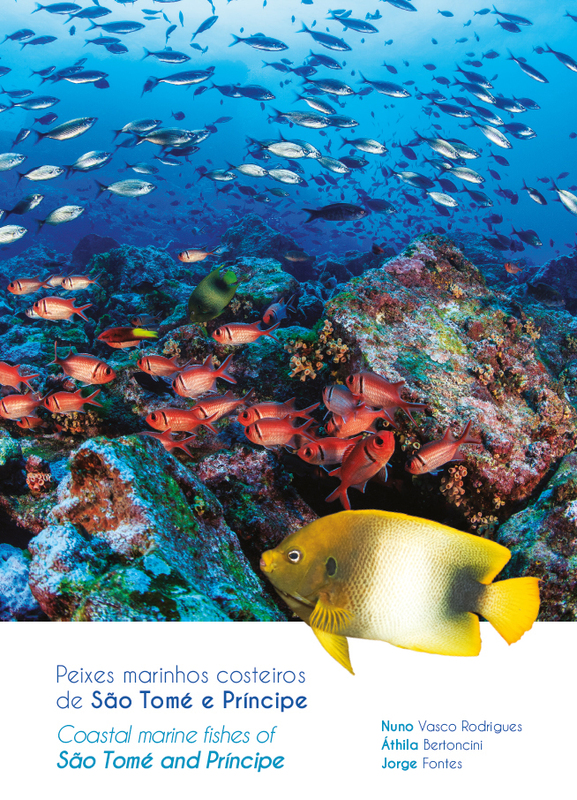 This pioneering book’s mission is to present the most common coastal fishes of São Tomé and Príncipe, their size range, habitats, the depths they are found at, their behaviour, and the colours and patterns they exhibit. A total of 130 species are illustrated through 197 images, helping to raise awareness among the public and decision-makers about the importance of São Tomé and Príncipe’s reefs and related ecosystems. "Marine Fishes of Portugal" main goal is to present the most common fish species of the portuguese coast. It is a bilingual edition (Portuguese and English) where more than 200 species are presented through photos, most of them never published before, and taken in the natural habitat. Information on common and scientific name, maximum size, depths range and geographic distribution is also presented. A total of 320 species are here presented as we see them in their natural habitat, in over 400 photos. Each species is given its taxonomic classification, dimensions, habitat and other curiosities. The structure and layout of this guide were developed in order to reach a wide and diverse audience interested in marinelife, whether from an academic background or recreational scuba divers and spearfishers. The Berlengas Archipelago, located in Berlengas Natural Reserve, was the selected region to collect most of the photos, given its biological richness.